Having the right type of technology can make or break which vehicle you opt to bring home to Bergen, and drivers can all agree the 2018 Jaguar F-PACE technology is something you’ll definitely want to explore. With a vast number of intuitive features and a solid array of conveniences, there’s something for every Mahwah driver inside the cabin of this vehicle. Hit the Paramus roads in style when your new Jaguar vehicle is complete with the latest and greatest technology designed to connect, inform, and entertain. Aside from keeping you informed and entertained on your Saddle River drive, you will also love how the new Jaguar model provides you with additional innovations. Stolen Vehicle Locator makes it easy for you to find out exactly where your vehicle is, so you can have it recovered in no time. 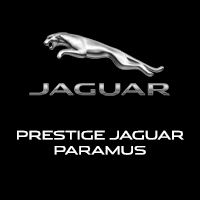 Jaguar Paramus has a great selection of 2018 Jaguar F-PACE models for you to peruse, and be sure to check out all the technology features found inside your favorite trim level. From entertainment to information and more, there’s definitely a tech feature in this model you’ll love, so visit our dealership at 405 NJ-17 in Paramus, NJ to see our inventory, or give us a call at (844) 336-0190 to learn about our current vehicle specials.